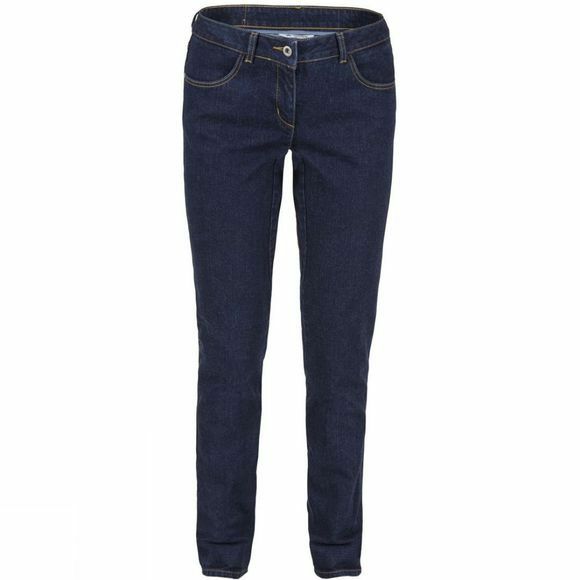 The Women's Larvik Pants from Vaude are feminine jeans with added value. In addition to the slim fit made from stretchy, eco-friendly material, the integrated Primloft fibers offer a superb micro-climate, high breathability and water repellent properties. 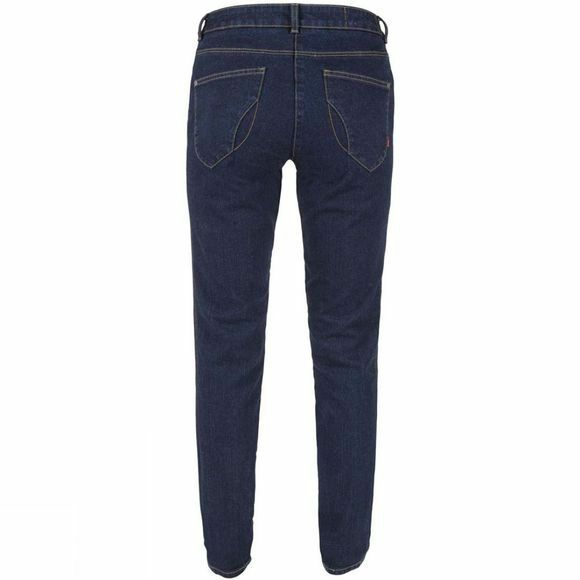 Like other jeans, these pants have two slide-in pockets in the front and back, but in addition (and no other jeans have this) reflective print on the inner pant hem. When you fold this out, you'll be more visible in low light conditions and city traffic. This gives the Larvik Pants a clear advantage for the dark months of winter. Green Shape is your Vaude guarantee for environmentally friendly products – made from sustainable materials, with resource-saving manufacturing and in fair production facilities.